New Delhi, February 07, 2018: Chennai City FC, who after quite a while, find themselves a rung below the top spot on the 12th Hero I-League points table, take on the dangerous Indian Arrows on Friday, February 8, 2019, in a bid to regain the pole position. The game kicks off at 2 pm IST at Bhubaneshwar’s Kalinga Stadium. In the process, the two sides go back to where it all began for them in this season’s league’s campaign. 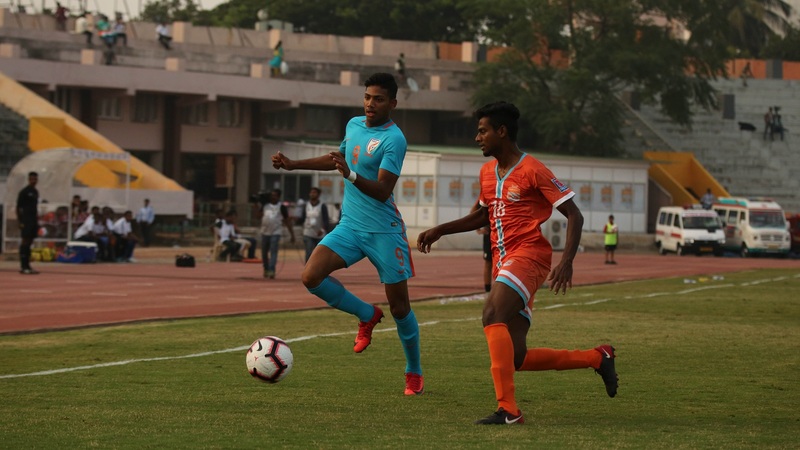 In the first game between the two, on the opening day of the league, Chennai had pummeled the Arrows 4-1, courtesy Spanish sniper Pedro Manzi’s first hattrick of the season. He has gone on to register another during the course of the campaign while piling up 13 goals for himself thus far and remains the Floyd Pinto coached Arrows’ premiere threat on Friday. Given their recent run of form – two wins in the last five games including one over champions Minerva Punjab in their previous encounter and three fighting losses to tough sides – coach Pinto was understandably cautious, yet optimistic in the pre-game presser saying, “The focus is on recovery and on minor tweaks to our system as far as Chennai City is concerned. “Everybody can see where Chennai city is on the table, but if you look at Indian Arrows, there is a big difference from what we were then, and what we are now. We might have to face a similar situation where we have to deep dig to stop them from scoring, but we have to be confident that we can cause damage to them as much as they can do to us,” he said. Chennai City, who at one point were looking comfortable in their quest for a maiden national league champion’s title, find themselves in a tricky situation thanks to two defeats in the last six games to current league leaders and debutants Real Kashmir FC. They have otherwise been a revelation with their Spanish quartet in open play and a Spanish goalkeeper to boot. Singaporean coach Akbar Nawas has also been able to get the best out of local players like Romario Jesuraj, Edwin Vanspaul and others. They are still comfortable with two games in hand over Kashmir and third-placed Churchill Brothers, but with a tricky three matches on the road, cannot afford to slip-up any more at this critical juncture of the league. One thing Is for certain. If there is any result other than a Chennai win at the Kalinga on Friday, it will set the cat amongst the pigeons and will ensure the 12th Hero I-League is headed for yet another thrilling finish.